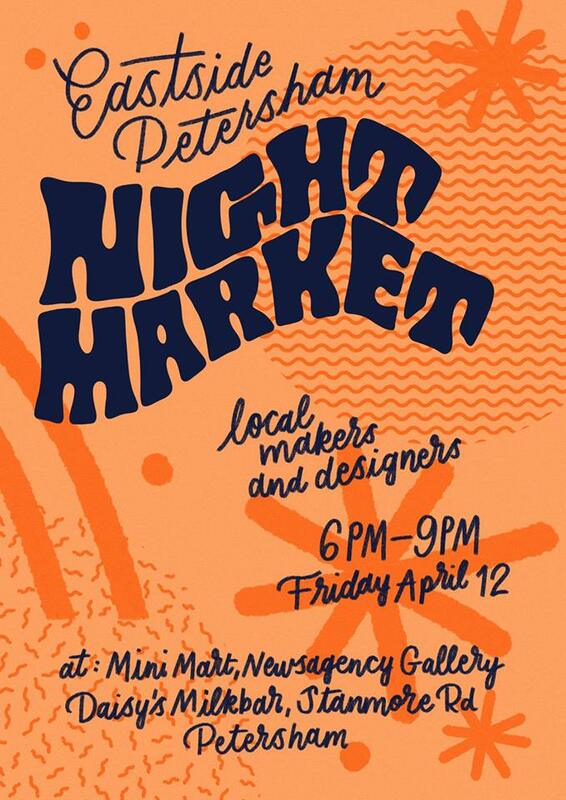 Mini Mart is getting the neighbourhood together for a night market. Our neighbours the Newsagency Gallery will be exhibiting their Art Prints Asia Collection: 300 hand-pulled silk screen prints by studio collectives in Indonesia, Cambodia, Malaysia and China. Daisy’s Milkbar will be cooking up your favourites for dinner, with some delicious specials. The market will include food, jewellery, homewares, artwork and other creations by local designers and makers.